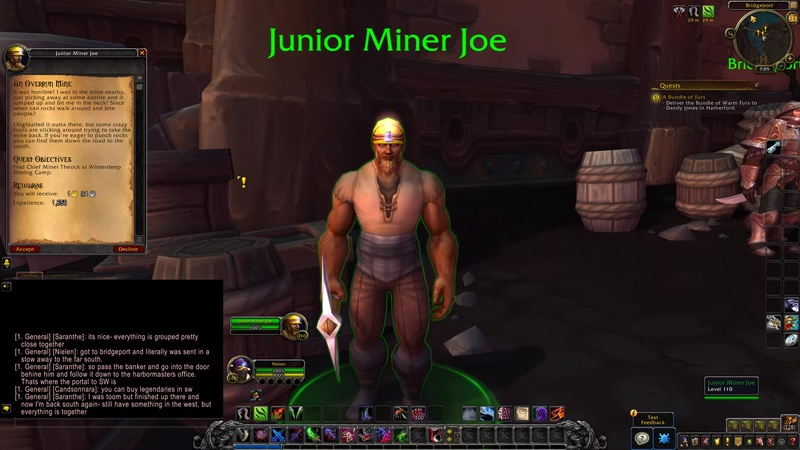 Junior Miner Joe: It was horrible! I was in the mine nearby, just picking away at some azerite and it jumped up and bit me in the neck! Since when can rocks walk around and bite people? I hightailed it outta there, but some crazy fools are sticking around trying to take the mine back. If you’re eager to punch rocks you can find them down the road to the south. 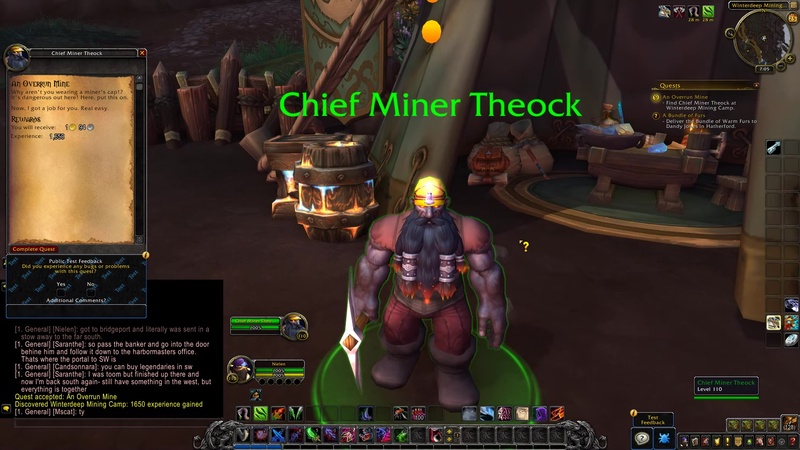 Find Chief Miner Theock at Winterdeep Mining Camp. 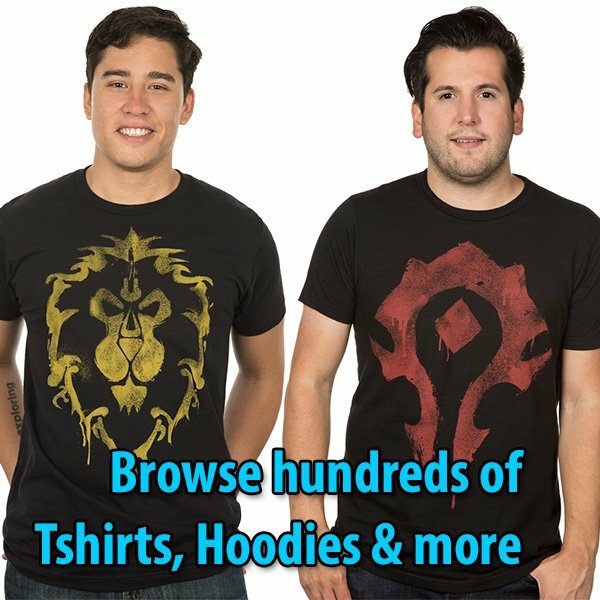 TIP: Head southeast toward the Winterdeep Mining Camp. Chief Miner Theock: Why aren’t you wearing a miner’s cap? It’s dangerous out here! Here, put this on. Now, I got a job for you. Real easy.